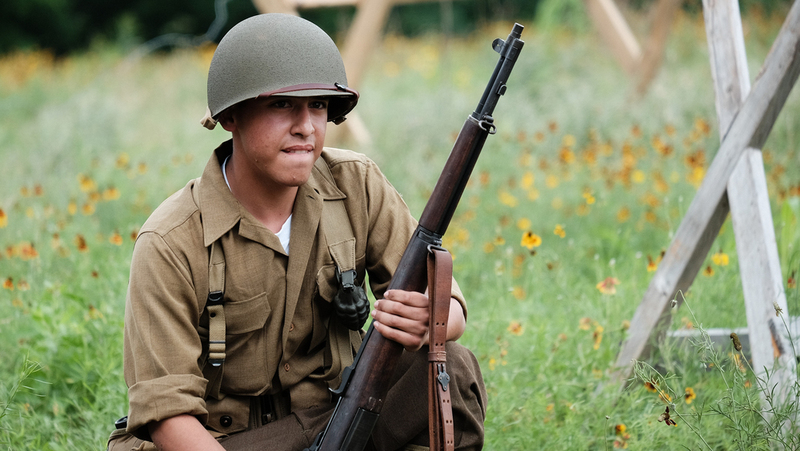 It has become customary for me to spend some time at Camp Mabry on Memorial Day weekend photographing their Close Assault WWII Reenactment. The actual battle reenactment is brief at this event. 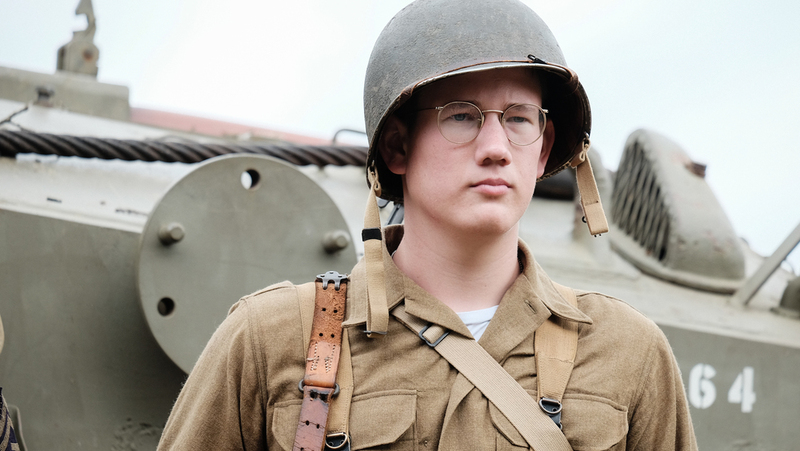 The focus is on giving a living history lesson by discussing the weapons, gear, tactics, and conditions of the battlefield in the war against Germany. I'm always amazed at the effort these reenactors put into staging historically accurate events like this. They do so at their own expense (and it is VERY expensive). They do this not to glorify war. They do it to educate and remind folks of the realities of war and the great sacrifices that it demands. Memorial Day weekend is a time when Americans get to enjoy a 3 day weekend with friends and family. It is easy to forget that the reason this holiday exists is for we as country to take a day to reflect and remember the countless lives that were lost in defense and preservation of the freedoms we cherish. The most powerful moment at Campy Mabry's reenactment events for me is always the close of the program. The troops line up to offer a salute and a moment of silence for their country's fallen soldiers. War is a terrible thing but sometimes it becomes a necessity. We hope that when we fight it is for a just cause. We hope that out of the destructiveness of war that a greater good is achieved. When we fight, one thing is certain. Many will go to battle - too many will not return. It is those who gave everything they had to give that we remember on Memorial Day. While the battle reenactment at Campy Mabry is the highlight for many in attendance, I am there to mingle with the troops as inconspicuously as possible. These folks take their roles seriously and I don't want to interfere with their portrayals. 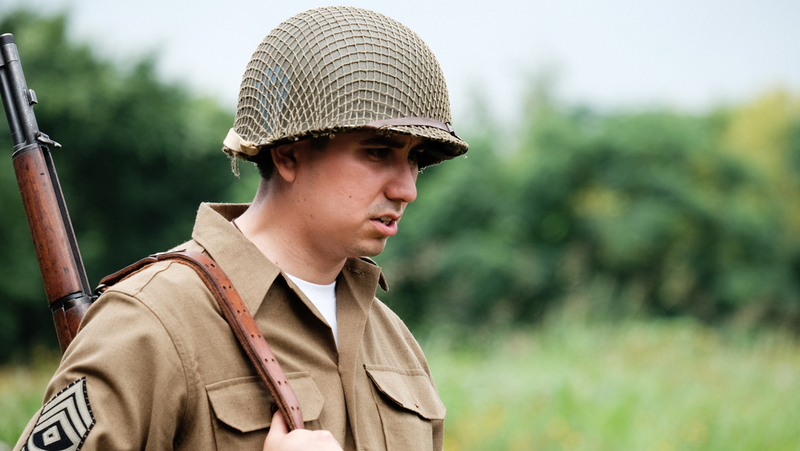 I strive to see and capture those moments when the reenactors are lost in their characters - the battle stares, the looks of concentration as plans and safety rules are recalled, the attentiveness to preparations of uniforms, weapons, and vehicles. Those "war faces" if you will. Images were captured with a Fujifilm XT-1 and XF 55-200mm lens. Full image gallery from the event is here.